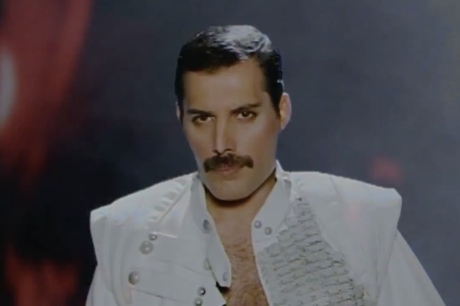 Queen's new compilation Queen Forever features a few cuts from the vaults, including "Let Me in Your Heart Again," which late frontman Freddie Mercury sung 30 years ago and has since been touched up with new instrumentation. Ahead of the album's November 11 release date on Hollywood Records, we've got a video for a mix of "Let Me in Your Heart Again" by William Orbit. Clocking in at nearly seven minutes, Obit gives the song some twinkling electronic elements. That being said, it still sounds like classic Queen: Mercury's dramatic vocals are soaring, as are Brian May's towering guitar leads. The accompanying video puts the song together with archival footage and lots of performance clips. The song was released on iTunes today (December 3) as part of Coca-Cola and (Red)'s campaign to end mother-to-child HIV transmission. Note that Orbit's mix won't be on Queen Forever. Check it out below.